The world of commerce is changing rapidly. It’s evermore common for us to buy our products online and receive them from the FedEx or UPS driver rather than actually drive to a store and buy products the old fashioned way. As consumer behavior changes, our laws need to keep pace. This includes the laws addressing who is liable if a consumer product causes injury. This issue of whether an online retailer, like Amazon, can be liable if a product it sells causes personal injury was recently decided by a Pennsylvania Federal Court Judge in the case of Oberdorf v. Amazon.com. Pennsylvania Law Regarding Products Liability – Who is Liable for Personal Injuries? In Pennsylvania, the long-standing rule for who is liable for personal injuries caused by a defective product is that anyone in the chain of commerce, including the manufacturer, distributor and seller of a product, is liable for any injury caused by the product. Occasional sellers, like someone selling their car or some used items on EBay, are not liable, but store owners and distributors are liable. Pennsylvania law provides that a product is defective if it lacks any element necessary to make it safe or contains any element making it unsafe. A product can be defective and dangerous if it was improperly designed (like a car not having seat belts), improperly manufactured (like improper welding leading to a car axle failing) or a product having inadequate warnings and instructions. If a product has a design or manufacturing defect, or has inadequate warnings or instructions and causes injuries, then everyone involved in the design, production or sale of the product is liable. How Does Amazon.com Fit into Pennsylvania Product Liability Law? The case of Oberdorf v. Amazon.com addressed the novel question of whether Amazon can be held liable if a purchaser was injured by a product purchased through the giant online retailer. The question was whether or not Amazon should qualify as a seller under Pennsylvania Products Liability Law? Oberdorf bought a dog leash on Amazon.com that was manufactured by The Furry Gang. A month later, she suffered serious eye injuries when the leash malfunctioned, snapped backward and struck her in the eye. After the incident, Oberdorf was unable to locate The Furry Gang, so she sued Amazon.com directly seeking compensation for the injuries she sustained from the alleged defective product that Amazon sold. The Furry Gang used Amazon’s Marketplace in order to sell its products, a service also used by over a million vendors. The Furry Gang chose what products to sell, prepared the product descriptions and fulfilled the orders. Amazon served only as a conduit through which payment flowed from the purchaser to Amazon and then to the seller. In deciding whether Amazon could be held liable for The Furry Gang’s allegedly defective dog leash, the Judge first examined the purpose of Product Liability Law, which is to acknowledge the “special responsibility” undertaken by someone who enters into the business of supplying people with products which may endanger them. Because of this relationship and the reliance consumers have in sellers of consumer products to ensure that only safe products are sold, sellers, in addition to manufacturers, are held liable if a product is defectively dangerous and injures someone. Next, the Judge analyzed precedent regarding the definition of a Seller, which he found to be expansive but not limitless. In the final analysis, the Judge was guided by a decision of Pennsylvania state courts which had decided that auctioneers could not be held liable as Sellers because they did not have the ability to influence product safety. Ultimately, the Judge concluded that Amazon was very similar to an auctioneer and, as such, should not be considered a Seller under Pennsylvania Product Liability Law. For this reason, Oberdorf’s claims against Amazon were dismissed. 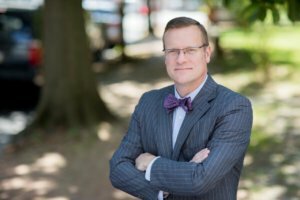 Tim Rayne is a Personal Injury Lawyer with the Chester County Pennsylvania law firm MacElree Harvey, Ltd. For over 20 years, Tim has been helping injured accident victims and their families understand their legal rights and receive fair compensation from insurance companies. Tim has offices in Kennett Square and West Chester. Contact Tim at 6108400124 or [email protected] or check out his website at timraynelaw.com.